Okay, enough rambling…LOL! But the one thing I do love about this time of year is the apples. 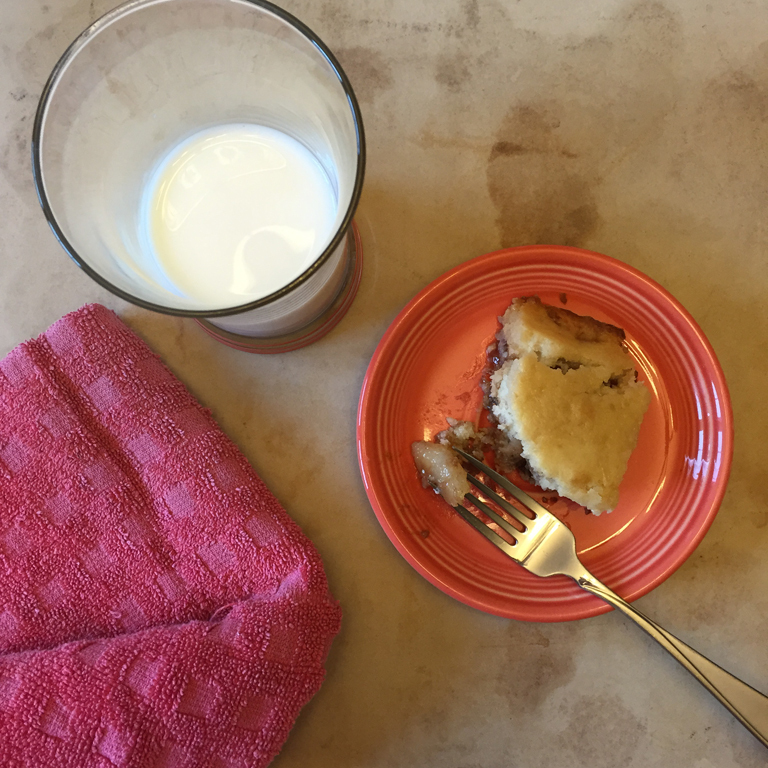 The taste is refreshing, then mix it with some cinnamon…yeah, life is good! 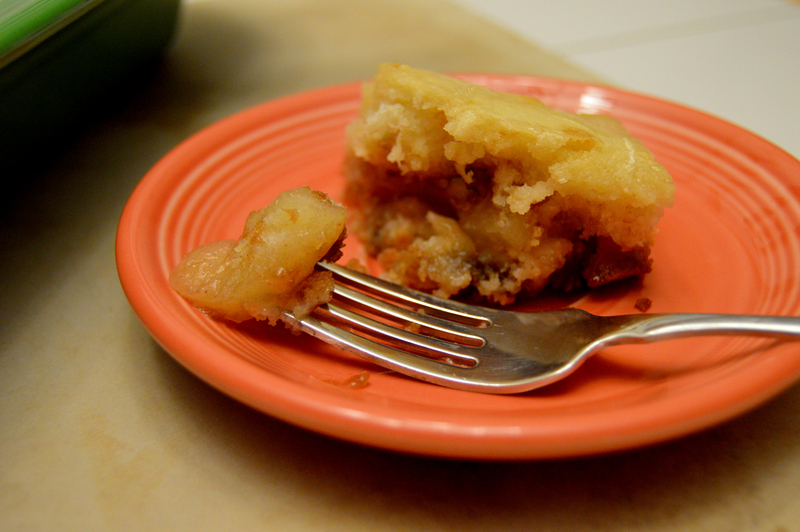 So I’ve been fishing through my mom’s recipe box and found an apple cake that tastes good when it’s warm. It has the word coffee in the name, but there’s no coffee in it. It can be paired with your cup of joe, but don’t ask me about that part; I don’t drink the stuff, so I drink it with milk. I absolutely love this cake because there’s apples in it, it’s warm, and it’s cake, and best of all, it’s perfect for breakfast, or for any time of day! 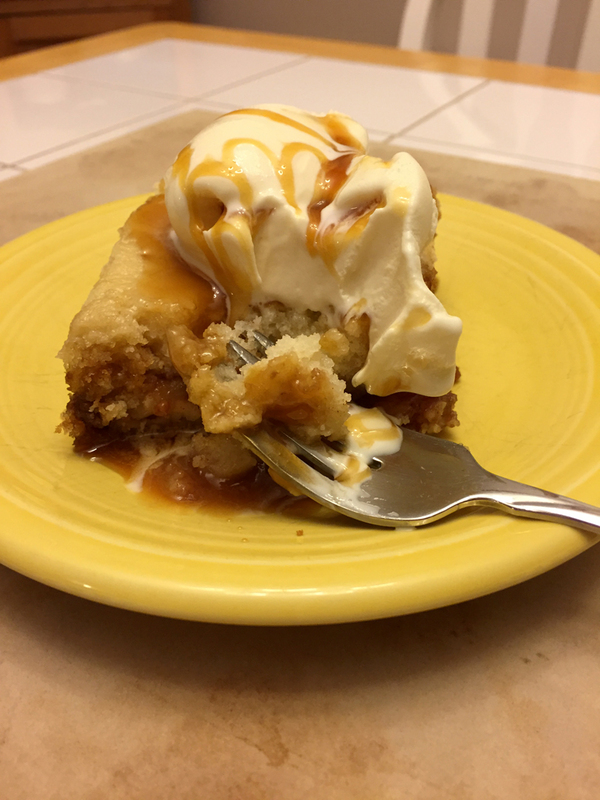 Another good way to enjoy this cake is top it with a scoop of vanilla ice cream and drizzle it with caramel…yeah, now we’re talking!! So grab some apples and some coffee….or whatever drink you prefer….and sink your teeth into this fall favorite!! Happy baking, and happy fall! Preheat oven to 350 degrees. Grease a 9×13-inch pan. In a medium-sized bowl, mix pie filling and cinnamon; set aside. In a large mixer bowl, beat flour, sugar, milk, margarine, baking powder, salt, and eggs on low speed, scraping the bowl often; beat for 30 seconds, then continue to beat for 2 minutes on medium speed. Pour half of the cake batter into the prepared pan. Spoon in the pie filling, then sprinkle the brown sugar and nuts over top; drizzle with the melted margarine. 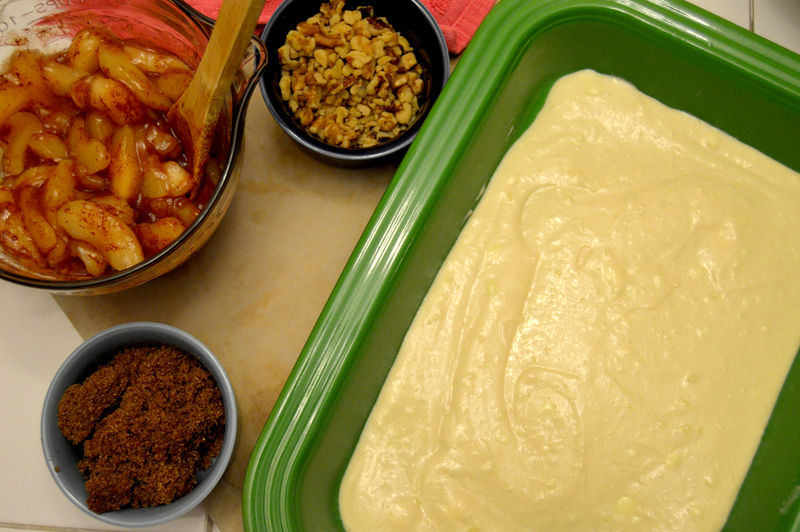 Then pour the rest of the batter over top of the apples. Bake for 45-55 minutes until a toothpick inserted in the center comes out clean. For the glaze: Mix ingredients together, and drizzle all over the cake 20 minutes after it’s baked. 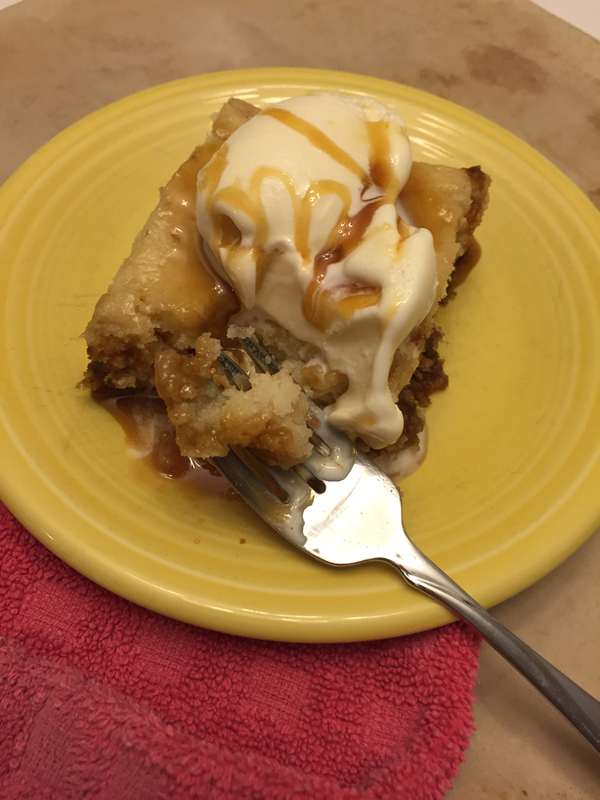 • Serve cake warm with a scoop of vanilla ice cream topped with caramel syrup.